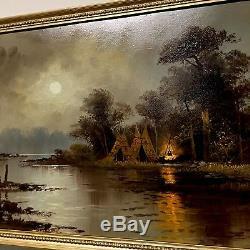 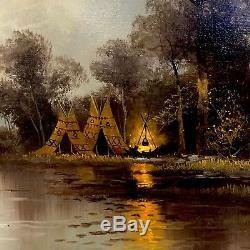 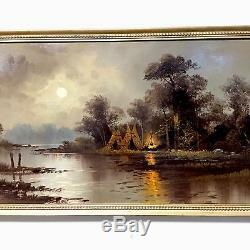 A Beautiful Antique late 1800's primitive folk art oil painting on artist board- featuring a campfire and tepees underneath the summer moonlight. 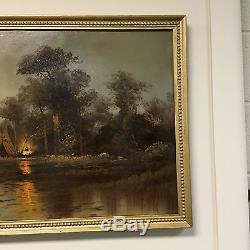 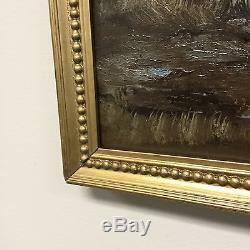 This is a super painting and is in ready to hang condition after a professional cleaning. 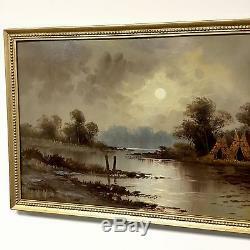 Housed in a period correct antique style guilt-wood frame. 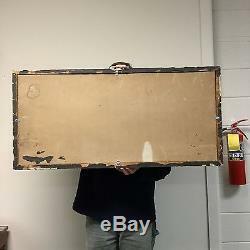 18"x40" sight and 20"x42" framed.